This table had its premiere at the ICFF a few years ago. I love traditional Japanese kotatsu tables and decided to create a low coffee table that works well in smaller spaces. 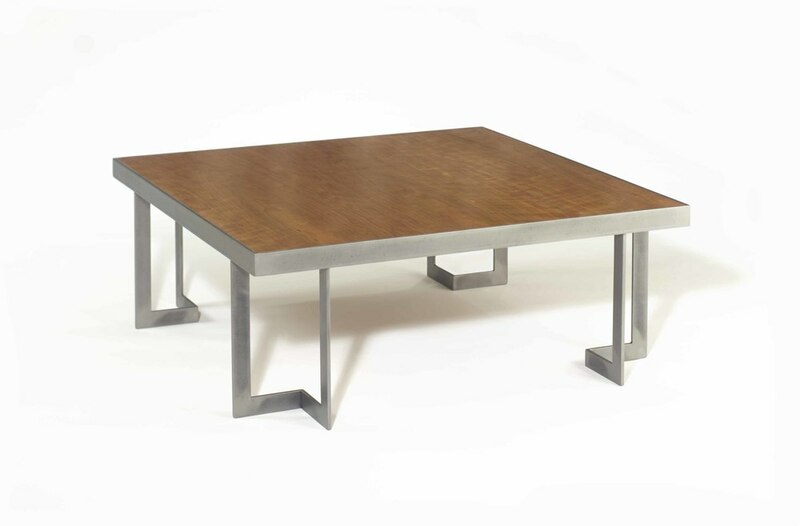 The coffee table has a brushed steel finish with a cherry wood inlay. Measurements: 32" x 32" x 12.5"